WINONA, Minn. – The Gustavus Adolphus College women’s basketball team suffered an 82-74 defeat at the hands of Saint Mary’s University on Wednesday evening at Saint Mary’s Gym in a game that served as the MIAC opener for both squads. With the loss, the Gusties fall to 3-2 overall and 0-1 in the conference, while the Cardinals improve to a perfect 5-0 overall and 1-0 in the MIAC. Gustavus jumped out to an early 9-2 lead in the first 3:34 of play, but Saint Mary’s went on an 11-2 run over the next three minutes to take a 13-11 lead with 3:29 to play in the first quarter. The Gusties would retake the lead and carry that into the second quarter where they led by as many as seven at the 6:00 mark, but the Cardinals went on a 14-2 run and took a 35-30 lead into halftime. Saint Mary’s continued to add to its lead early in the third quarter and built that advantage to 10 (50-40) with 4:31 to play. However, the Gusties hung tough and went on a 10-5 run to battle back to within five going into the fourth, a run keyed by a Taylor Anderson (Fy., Rogers, Minn.) three-pointer with 19 seconds remaining in the quarter. The Cardinals would not relinquish their lead in the final quarter though, and despite the Gustie’s consistent push and 15 second half points from Mikayla Miller (So., Goodhue, Minn.), never let the lead shrink to more than five in the final 10 minutes. “We need to roll up our sleeves and go to work … defense isn’t always fun, but we need to get better at it,” said Kelly. “There were a few plays where we just lost our assignments and gave up open three’s, which when you’re close like we were, really hurt. It’s tough to win conference games on the road, especially against such a good team that has great veteran players, but had we played better defensively and hit a few more open shots, we definitely had a shot at a win. 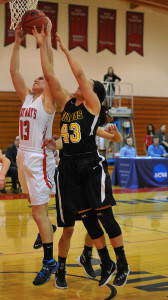 Gustavus had its second worst shooting performance of the year, as it shot 40.9 percent (24-of-59) from the floor. 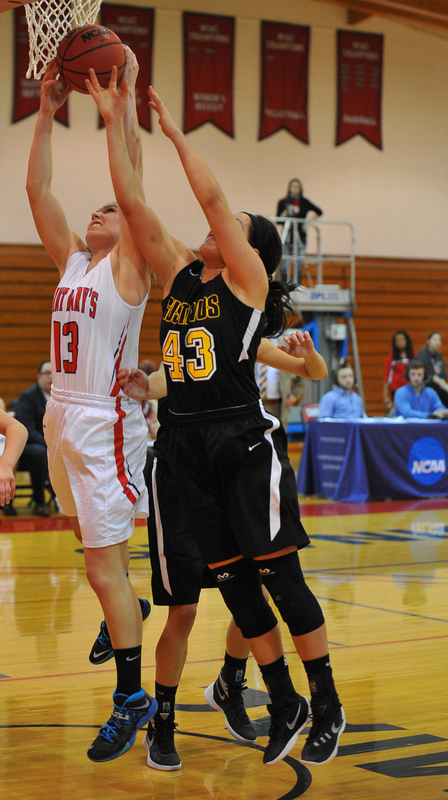 However, the Gusties did shoot 86.4 percent (19-of-22) from the free-throw line and out-rebounded the Cardinals 22-16. Miller led the Gustie offense with 22 points on 7-of-16 shooting, while Hannah Howard (Jr., St. Paul, Minn.) and Miranda Rice (So., Forest Lake, Minn.) also reached double digits with 13 and 10 points apiece, respectively. Miller also led the team in rebounding with five. The Gusties hit the road again on Saturday when they head to Minneapolis for a tilt with Augsburg College, with tip-off set for 3 p.m. The Black and Gold return home next Wednesday when it welcomes Bethel University to Gus Young Court for a 7 p.m. contest.